In June, 5 technicians at Hodson Ford received an air conditioning qualification! Great news, especially during this heat wave! 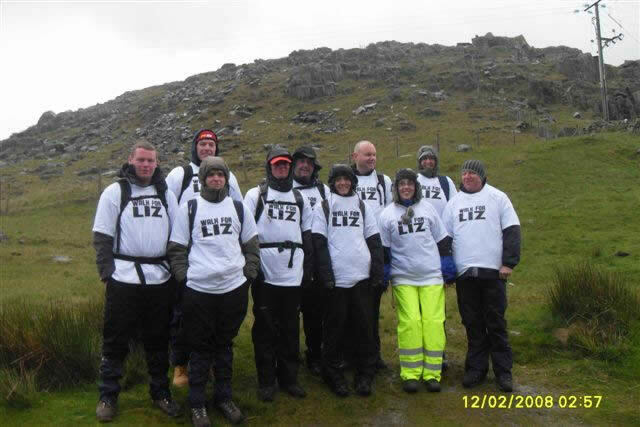 Hodsons Employees scale Snowdon on May 15th to raise monies for a close colleague Liz Clayton who is presently undergoing cancer treatment. There were some very stiff employees come Monday morning! Technician Jon Parkin has achieved Commercial Senior Technician accreditation along with Neil Gillies who also has achieved Car Service Senior Technician accreditation. Congratulations to both as accreditation takes many years of hard work and dedication. With vehicle technology moving at such a rapid pace our customers can be safe in the knowledge their vehicle is being expertly cared for. Jon and Neil join Ron Richardson our Master Technician to form part of a very highly qualified team.